(MoneyWatch) If you're an animal lover and bought a coat thinking that its plush lining was imitation fur, you may want to check again: Neiman Marcus and two other retailers settled today with the Federal Trade Commission for falsely claiming in their ads that their coats contained "faux fur" when it was actually animal fur. The violations by Neiman involved claims on their website about a $1,300 Burberry jacket, a Stuart Weitzman ballet-style shoe and a coat from Alice + Olivia Kyah. Along with Neiman, the FTC named DrJays.com and Eminent Inc., doing business as Revolve Clothing, as retailers responsible for selling the products. The case stems from a petition brought to the FTC in 2011 by the Humane Society of the United States. In that petition, the animal welfare organization made allegations against a wide range of manufacturers that were not part of the settlement today with the FTC. The agency would not confirm whether it is still investigating the manufacturers themselves. Your fur coat -- fake or fido? A twist in the Humane Society's claims is that retailers are misrepresenting faux fur. In fact, the fur sometimes came from an animal known as a raccoon dog, a distant relative of dogs that strongly resembles a raccoon. The animal is bred for its pelt, particularly in Asia and parts of Europe, and often raised in brutal conditions. In the case of the Weitzman shoes, the ad and the shoe label itself suggested the product contained no actual fur. In the case of the Burberry coat, the ads claimed the garment was made with faux fur, but the label on the garment itself identified the fur as 'finnraccoon," a trade term used to suggest the fur is of a raccoon dog from Finland, the second-largest exporter of the fur after China. 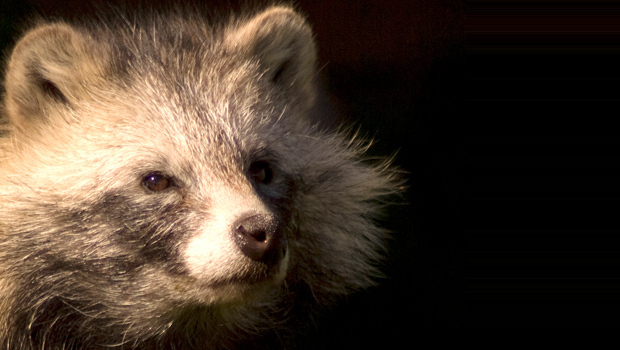 Why should consumers care that fur comes from a raccoon dog? To the Humane Society, which has documented numerous instances of cruel treatment of raccoon dogs, the issue is one of letting people know exactly what they are getting. In the case of the raccoon dog, what buyers are getting are the remnants of an animal that the group says is treated with cruelty that tops anything it has encountered. "We urge retailers to drop all fur products, but that being said the treatment of raccoon dogs in China is the worst we have ever seen, including live skinning," said Pierre Grzybowski, the head of research and enforcement at the Humane Society's "fur free" campaign. "At the same time, it's the most frequently misrepresented animal sold by the fur trade in the United States, whether as faux fur or a real animal." "There are millions of people who don't want to buy fur at all, and instead they may be getting raccoon dog." The FTC is drafting a rule about how these animals should be classified. The agency prefers to refer to the animals as "asiatic raccoons," while others, including the Humane Society, prefer the term raccoon dog. Despite its uncanny resemblance to raccoons, the animal is part of the canidae family, which includes foxes, wolves, jackals and dogs. Hunters introduced it into Latvia as a game animal in the late 1940s, and it has since spread around the region, where it is considered an invasive pest. Animal rights activists have long complained about the animal's treatment in captivity as a source of fur. China is by far its largest exporter. The settlement with the retailers calls for no cash penalties; rather, the companies merely agreed not to violate the law for 20 years. Neiman Marcus did not respond to a request for an interview.